I remember saying to friends for years that we'd eventually see a remake of Final Fantasy 7 and was always told it would never happen. It was and still is a hugely popular and much loved title, with films, spin-off games (Dirge of Cerberus and Crisis Core) and all kinds of merchandise. The original FF7 is an incredible game with ample charm, but is very much dated now. So, now that we know it's happening, read on as I express my personal views on the latest trailer, elaborating on some of the major differences between the original and remake, while drawing attention to some of the more familiar aspects of the title. The first point I'd like to raise is how FF7 releasing as Episodic Content will impact the remake. 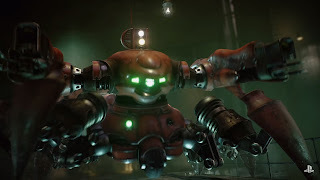 As stated in an interview with Dengeki Magazine, Yoshinori Kitase and Tetsuya Nomura believe that in order to remake this game to the level they desire, the title would simply be too big to fit onto one disk. The issue with this is those buying the first episode won't have the freedom of a full game because for starters the world map won't be able to exist....or so some believe. Will we be very limited to where we can go? Will we have a set level cap for each individual episode? I don't believe so and I'll tell you why - To remake Final Fantasy 7 and appease all audiences both new and old, the very foundations of the game have to remain. Simply the exploration and levelling elements. If you put restrictions here you're just asking for a backlash. It wouldn't make sense to do this and so I believe the guys at Square HQ have already considered this, bringing me to my next point - The World Map. Okay, so I see this working in one of two ways - 1. Other areas will be available to reach but not enter, or 2. Each episode will act more like the disk swapping system of old (in a sense), where by you can only go so far as the first disk/episode will take you, then by the time you've reached the final disk/episode, all areas will be available for you to freely explore. Issue though? How can you freely explore the world when you can't fit the game onto one disk in its entirety? Simple. It doesn't need to be disk based. Granted I see it taking up a huge amount of hard drive space, but let's say the game will be released in 4 episodes (it might be more, it might be less) - When you have all disks installed, you'll be able to freely move anywhere as you'd essentially own the full game. The old titles used to do this as well, leaving you a lot of room to explore but only allowing you as far as the story would take you (location wise) for each disk. Now not needing a disk isn't really an issue when you can freely download data from console stores, but of course it would make sense to have something physical, as it allows for special, Limited Edition versions of the game to be released. All the disks would need to do is release the data onto your consoles hard drive and it'd be no different from downloading from the store, aside from potentially saving you time downloading via the net, as disk transfers are usually quicker. Plus, they could also bundle a HD remastered version of Crisis Core for a more complete story if they really wanted to. I'm a massive fan of the Final Fantasy series and have been for the last eighteen years or so, but as much as I love the old turn based systems (and as sad as I am to see them disappearing), I really feel that turn based strategy is a dated system. Don't get me wrong, I still absolutely love them (and am currently running through Digital Devil Saga as I type this), but I feel gamers of today are more into fast paced, immersive action. In the original FF7 you'd run around, have a random encounter and then have the battle screen load. Today, most titles integrate it seamlessly into the game itself with no loading screens and Final Fantasy 12 is a good example of this. This means that the battle system has had to change in a dramatic way from that of the original game. 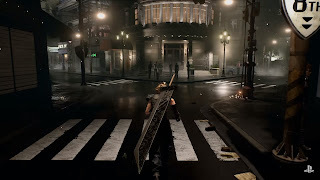 No longer is it turn based combat, but instead a more realistic and stylised version of the Dissidia and Kingdom Hearts battle systems are being used. It looks similar in theme to Final Fantasy 15 with the exception of Final Fantasy 15 running on Square's internally created Luminous Engine and this, now running on Unreal Engine 4. The Robot Scorpion Boss makes its return! Of note, the original Final Fantasy 7 had no voicing at all. It was all sound effect and music based, using only cutscenes and text to drive the story forward. That's all changed as you can see for yourself from the trailer above. It also seems that Square have decided to keep many of the voice actors from Advent Children to reprise their roles in the earlier setting of 7. That in itself already makes the characters more relatable and to see Biggs, Wedge and Jessie with ultra crisp character models and voices gives them a lot more charm. At this point we've still only seen a few characters, but already one character in particular has had a bit of a makeover. This character is Barret - The dark, muscled dude with the large gun for an arm. In the original his gun was much larger and he didn't wear those ridiculous Sunglasses (Square, please get rid of them. He's in a dark City, didn't need them in the original and doesn't need them now). He was also quite a hearty character, providing a degree of comedy, but in this he looks just as depressed and down-trodden as "Mako Poisoned" Cloud. 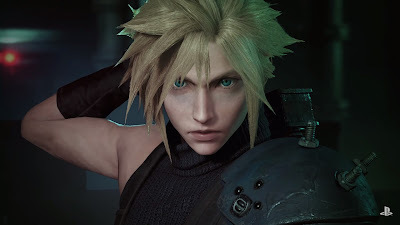 I also know Cloud's figure is in debate right now, but personally, I really like how thin he is as it's representative of how I imagined him to be, especially when his illness gives good reason for this. Regardless, I have the utmost faith they're still working things out at this point, so what we've seen so far is quite obviously a taster of what's to come and not necessarily representative of the final product. 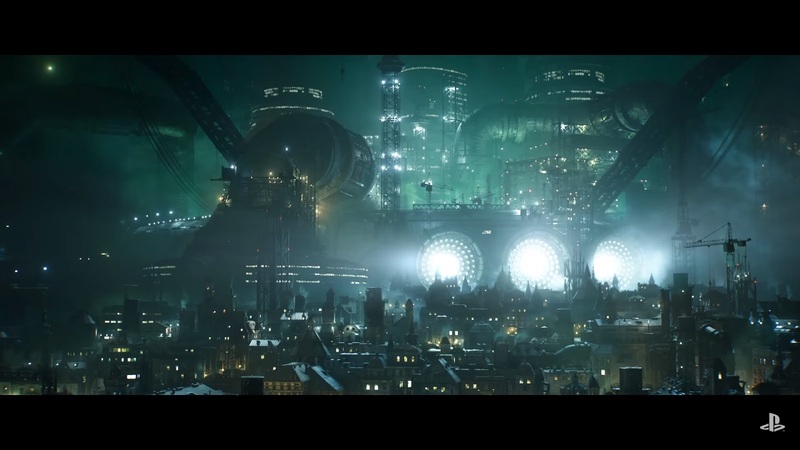 The streets of Midgar. No Loveless? Paying closer attention to the most recent trailer, specifically in the gameplay segments, every time Cloud or Barret attacks, the little bar next to their name (on the right hand side of the screen) fills up until it hits red. At this point, I believe this to be the time where you can perform your characters Limit Break. For those new to the series, a Limit Break is a special, ultimate move your character can pull off. From memory, most characters could unlock seven of these over the course of the game and just to further prove my point, I spotted Clouds most iconic Limit Break "Braver" in the latest trailer, so turned it into a GIF and slowed it down for all to see below. Barret's "Big Shot" Limit Break is also in the trailer, but if this doesn't convince you, here's a snippet taken from a recent interview with Famitsu; "Tetsuya Nomura: We/I can't go into details, but the ATB gauge turning red at times....is a point worth paying attention to." That, added to what I've already pointed out should give many of you an idea of how the Limit gauge will work. We know that it increases when you attack, but will it increase when you defend or take a hit also? I believe it will, though it's hard to say for certain because we still have very limited information to go on. All I can say is that although the move itself doesn't suspend Cloud in mid-air for two to three seconds (like the original), the flashy move below is 100% his "Braver" Limit Break. An animation I made to show off Cloud's Braver Limit Break in action! Another aspect of the original that I'd like to see return is the Materia System. So, what exactly is Materia and how does it work? Materia are small spherical, crystal ball like objects that enable you to use all kinds of Magic within Final Fantasy 7. The longer you have one equipped, the more it'll level up, giving you new abilities as it does so. Fully levelling it up to Master level will create a clone of itself for another party member to use. If you want to Cure yourself, you'll need the Cure Materia. If you want the most hideously broken Summon, you'll need the Knights of the Round Materia and seeing as different pieces of equipment had their own individual Materia slots, as well as linked slots, you could essentially place Knights of the Round in one slot and link it to a Quad Cast Materia, meaning that yes, it would cast Knights of the Round four times in a row. It's one of the most hilarious and cheap ways to win a fight towards the end game, but seeing as it made some kind of return in Crisis Core (and worked really well), I'm confident it'll be returning for 7's remake. I guess one thing to ask is "Just how will the Summons work, now that the combat has changed and is a lot faster paced?" Now honestly, I believe to some degree Square have been using the Final Fantasy 15 system to test this. Summoning Ramuh in Episode Duscae 2.0 is very cinematic but a little slow for my liking. I feel they're headed in the right direction locking Summons to cinematic actions only, and the reason I say this is because whenever I've been able to play as a Summon, I've always felt disappointed with the lack of power they actually seem to have. Again, I'll use Final Fantasy 12 as a fine example of this, to which I stopped using Summons after the first few casts. Really though, what I miss most of all is how stylish and cool the animations of old really were. There was nothing more satisfying than Summoning Ifrit in Final Fantasy 8, to save the day when it looked like the end was nigh. The way you received your Summons in 8 was also great and I just really wish they'd bring the animations back in for such exciting and memorable moments of past games. Chocobo breeding was also a pretty big part of Final Fantasy 7, at least for those who wanted to find everything, for you see only specific Chocobo breeds could freely travel the World Map. If you wanted that ultimate Summon, Knights of the Round that I mentioned above, you needed a Chocobo that could essentially walk on water to reach an island too small for an Airship to land and too rocky to enter any other way. This meant you had to get good at breeding Chocobo's, going through all of the colours until you hit Gold, at which point you could travel across any terrain on your gigantic feathered friend. Whether Chocobo's will return or not is unclear, though I personally believe we'll be seeing them again in the not too distant future. 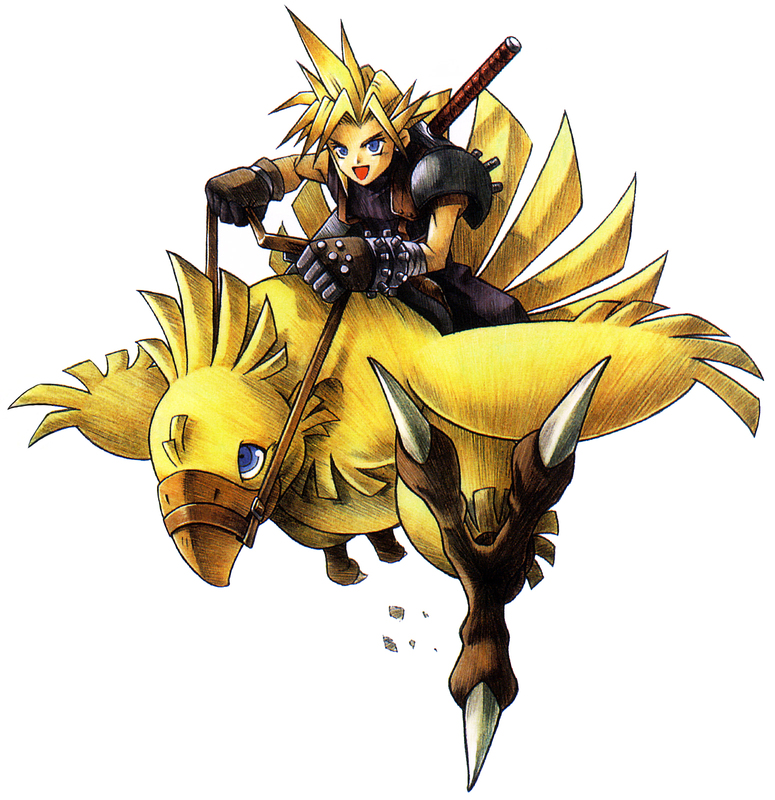 A Chocobo even brings a smile to Cloud's face! The updated visuals are, in short, outstanding. The original had hand drawn, pre-rendered backgrounds, with fixed camera angles that would scroll around the screen as the characters moved. This isn't the case here, as we have the perspective set behind Cloud. This removes a lot of charm which made the original so great, but paves way for an entirely new direction, still staying true to the core essence of the original title, and for me at least, looks to be exceptionally promising. 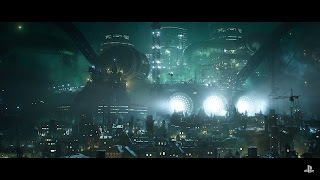 Midgar (the City seen in the latest trailer) has been recreated with the finest attention to detail and to me, looks like a living, breathing City. It doesn't feel empty in any way and I hope this remains to be the case come FF7's remade release. For my closing thoughts, the remake of Final Fantasy 7 may not have the charm of the original, but the best way to look at this is not to see it as a reboot or something to replace the original. Instead, we should see it as something to further extend the story, elaborating in greater detail the points fans of old are all too familiar with, giving it a fresh new take, where older fans now have reason to once again return and newer fans now have the incentive to check out what was already an incredibly amazing game, story and piece of iconic history within the entertainment industry.